The Garmin / Asus collaboration have anounced the new Nuvifone M20. Many believed they would be announcing a new android (google) based OS smartphone, but the M20 is all windows mobile (6.1). 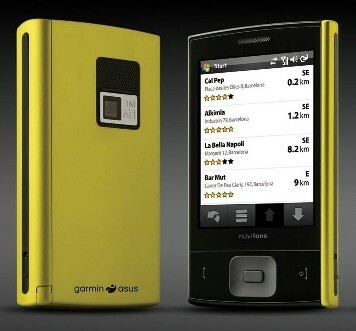 Naturally gps is present, supplied by Garmin, VGA touchscreen, EDGE / HSDPA, WiFi, 3MP camera, outlook sync and Bluetooth.